A blistering drama about love, hate, and psychopathy. Ullman, one of the first women in cyberspace, guided readers to the innermost circle of computerdom in the 1997 memoir Close to the Machine. Her first fiction—which descends back into this realm of basement cafés and windowless break rooms, of buzzing fluorescents, whining computers, and cussing hackers—sustains a haunting tone of revulsion mingled with nostalgia. This artful tension distinguishes heroine Roberta Walton, who tells about the dramatic undoing in 1984 of Ethan Levin, a slightly odious but efficient programmer plagued by a highly odious but efficient computer bug. Roberta is the failed academic who, between cigarette breaks, tests Ethan’s programs. Her discovery of the bug, dubbed “Jester” by cutthroat colleagues, stirs Ethan to humiliate Roberta during a Telligentsia staff meeting. (Ironically, the event will trigger Roberta’s rise from lowly tester to wealthy consultant.) Harassed and embarrassed, Ethan escapes at night into a simulated world he programmed. But Jester keeps freezing Telligentsia’s system during presentations to investors, and Ethan, slipping into deepest paranoia, links its origin to his girlfriend’s taking of a lover. He confronts neighbors about loud music, complains about odd environmental stimuli at work, and soon he’s wearing a purple headband over earplugs and lowering a blue parachute over his desk. Desperate, he turns to Roberta, and the two forge an unlikely closeness. But Ethan is beyond hope. 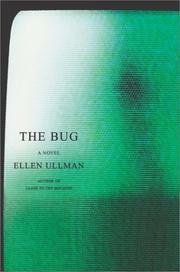 Ullman, who relies on dramatic irony to advance her plot, overplays it during the crawling conclusion, and her misguided generosity extends also to arcane descriptions, with a penchant for technobabble—akin to Updike’s similarly flawed Roger’s Version—that detracts from an otherwise fine novel: a story that, at its best, finds in computers the same eerie allure that DeLillo’s White Noise found in televisions. Not for the faint of mind, but a forceful testament to the uphill struggle of pioneer programmers.